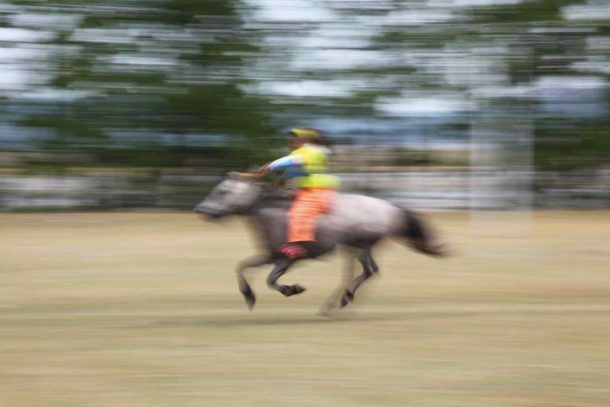 How long have you been running your riding outfit in Argentina? And what was the background, history, reason for starting? The estancia, which is a working farm, has been in the family for over 100 years. 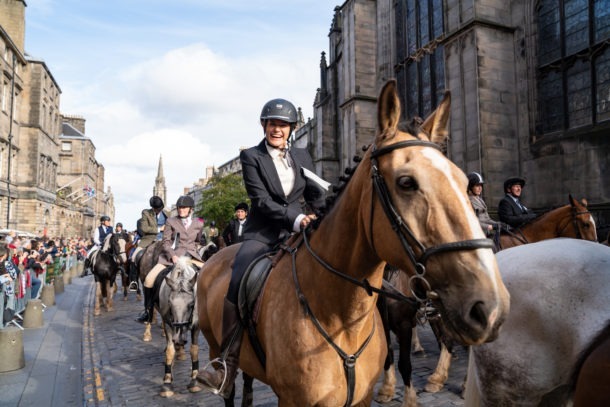 Kevin’s grandmother started rural tourism here between the 1940’s and the 1960’s which included riding out on the hills and helping out with daily farm activities, but in it’s current form Kevin and his brother Robin started the riding business in 2001. 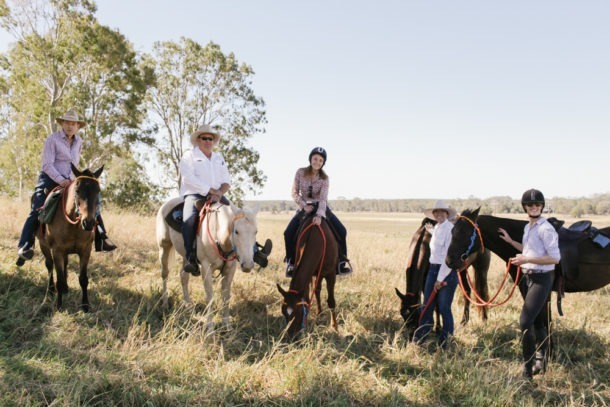 Both of them had lived overseas but felt that they wanted to return to the family estancia to fulfill a long-held dream of sharing their beautiful home with others, and what better way to experience it than from horseback? 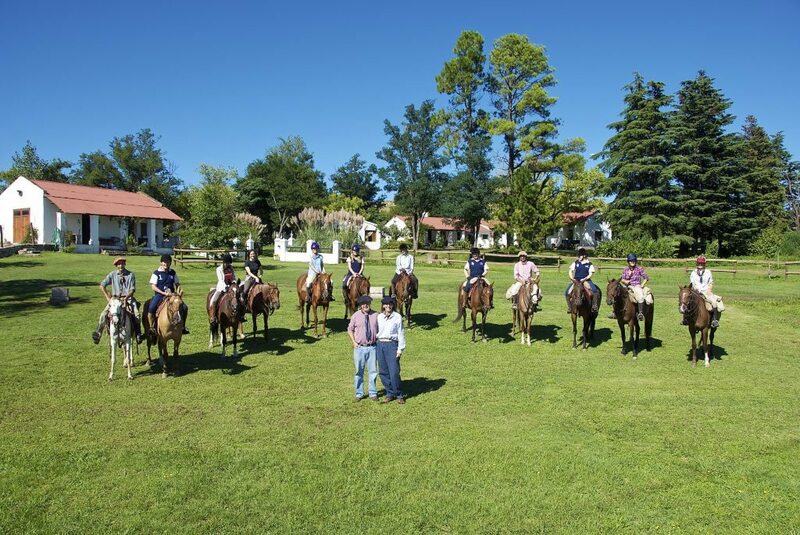 Our total herd is 135 strong, of which around 80 are in guest work, split between ‘Criollos’ or working horses and polo ponies, and Peruvian Pasos, our gaited horses. 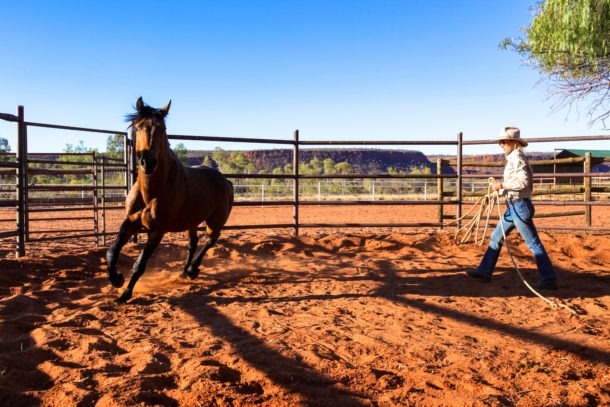 Guests tend to ride two different horses each day, and so in a week they could ride up to fourteen if they want to! What is the philosophy or ethos behind your horse riding experience? 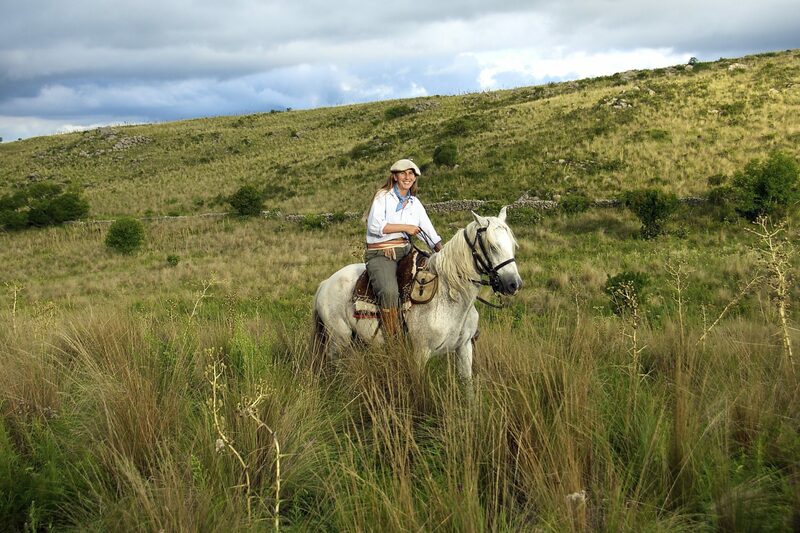 We want our guests to feel part of the family and experience daily life on the estancia whilst they are with us. 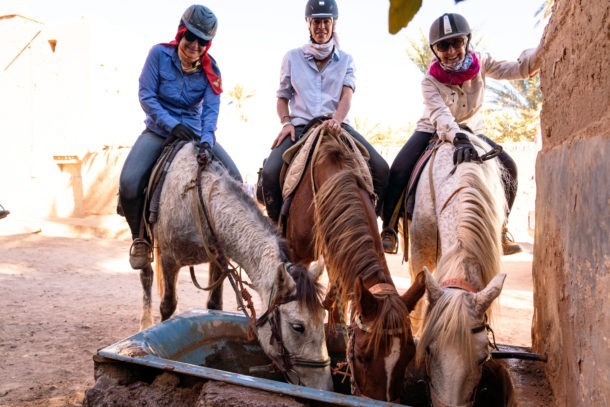 We love for our guests to experience as many of our wonderful horses as possible, and try out as many of the different activities available, as well as soaking up the scenery, local history and gaucho culture. 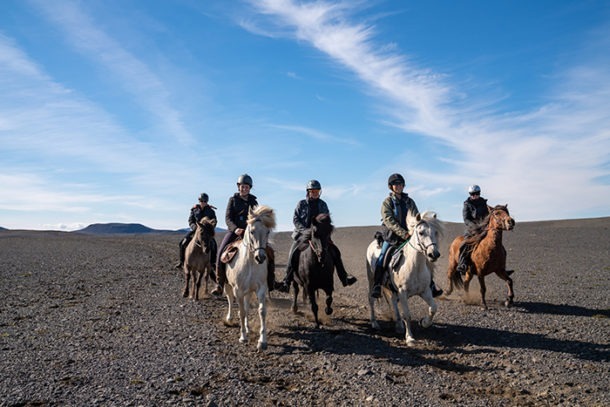 So in a week’s stay you could ride up to 14 different horses, try polo, gaucho games, lassoing, herd cattle, swim in remote rock pools, gallop across grassy hilltops, explore local churches, marvel at the smooth-gaited Peruvian Paso horses and more. 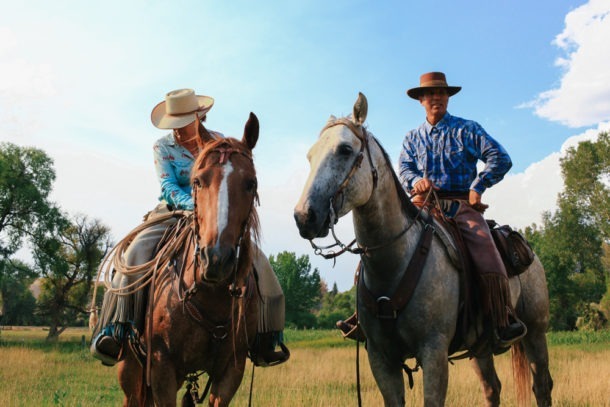 We also believe in great hospitality out of the saddle, so be prepared for the best Argentine beef and wine, and plenty of great conversation. Being around the animals – there is nothing that makes us happier. Plus sharing our lifestyle with our guests – every day is different. Having animals! They don’t have calendars or timetables, and you can guarantee if there is a problem it will be at 11pm on a Sunday evening. 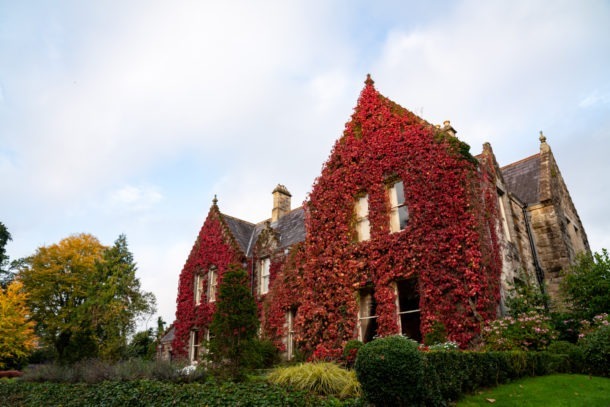 We offer a truly authentic experience where you will be welcomed as part of the family – it’s ideal for singles, couples, friends and families alike. 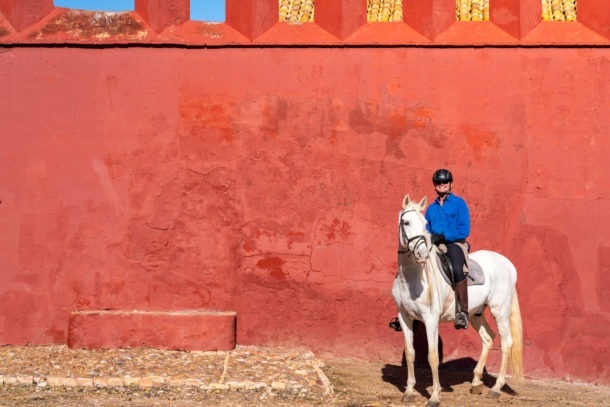 There is great variety in terms of scenery, activities, and horses to try, and everyone should have ‘riding with the gauchos’ on their bucket list. We are in a rural part of Argentina (although just an hour from the main airport) so don’t expect phone signal or high-speed Wi-Fi. Instead enjoy the opportunity to disconnect for a while, it’s an amazing feeling! Your camera! The photographic opportunities both in and out of the saddle are endless. There are so many for us. Just a few weeks ago we did a sunset/full moon ride with our guests, taking in both from a high point on the farm. We were so blown away by the moment that we lost the capacity for speech, which for us is quite unusual! We are so privileged to live in this part of the world, and to share it with others. We truly believe in our estancia motto – ‘Nil Sine Amicitia’ – ‘Nothing Without Friendship’. 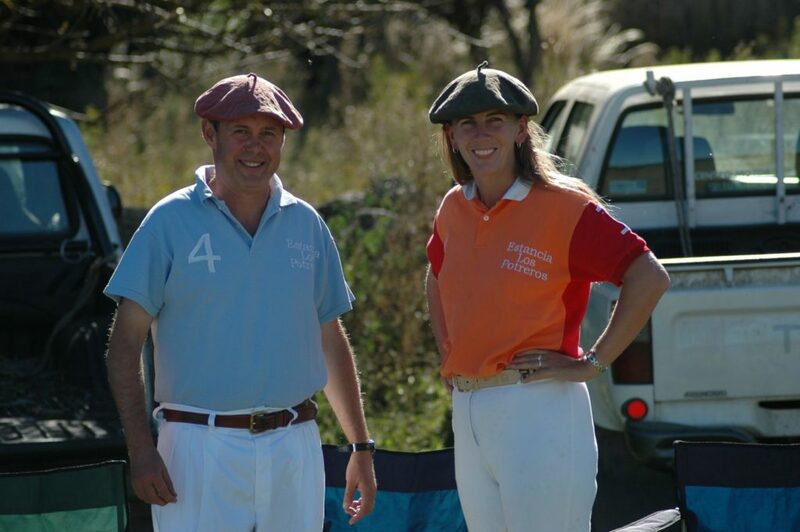 Click here to find out more about the riding experience Lou and Kevin offer in Argentina.